The next several pages are photos Our Members in Action through several years. Our Members are what makes our SCV Camp special. We have a diverse group of men who come from different back grounds and all have one thing in common, and that is that we Honor our Confederate Ancestors. The different ways we honor them is by having Memorial Services, cleaning their headstone and taking care of their gravesites, marking the graves of Honorable Conferedate Soldiers and Sailors with an Iron Cross and when that is done we have Iron Cross Dedication Service, we place flags on the graves of these men, we hold our monthly meeting and say our pledges and salutes, we teach our children and grandchildren the true meaning of the War Between the States. 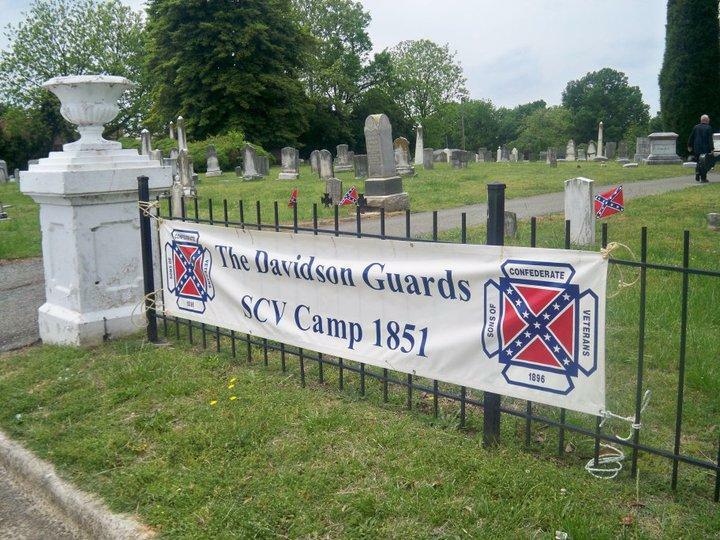 Some of our members are re-enactors who protray Confederate Soliders during re-enactments, living history events, honor guard during Memorial Services, Burials, and help others group during Memorial Services.